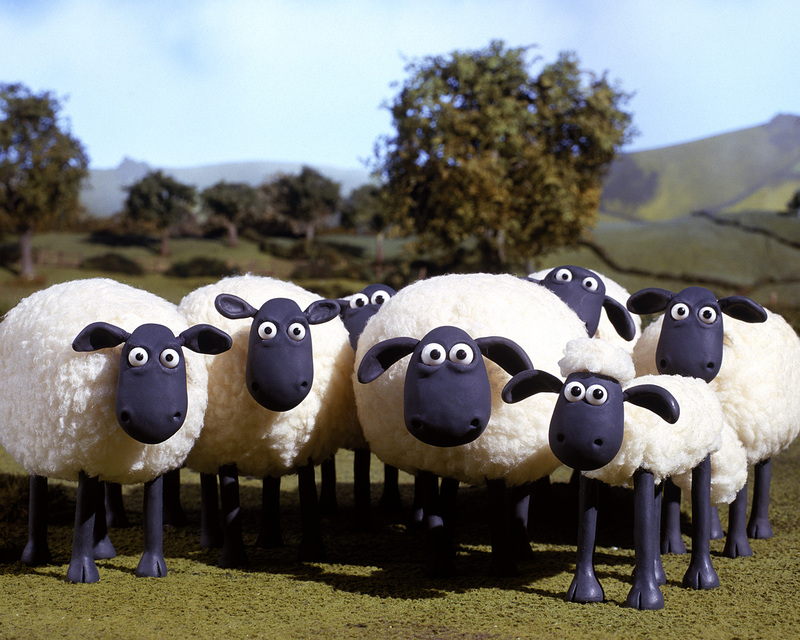 Not all sheep are created equal; in fact some are only good for counting as we attempt to drift off to sleep. Others are good for making our clothes and other textiles and finally (as far as we're concerned) the top of the sheep hierarchy are those that end up in our rugs, carpets and tapestries. Here we take a little closer look at what meets the eye with wool and rugs. 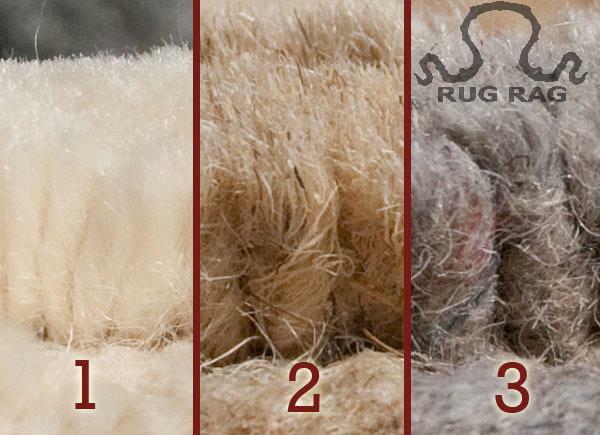 A close up look at three different qualities of wool you will commonly find. On the left is the highest quality, on the right the lowest. Notice the differences; even in the photo the lower qualities are coarser and appear more matted. 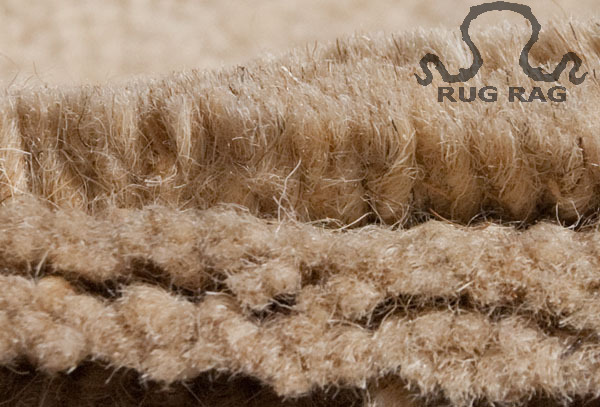 Above is shown the highest quality rug wool. This wool will feel the softest, has the nicest luster and is the least coarse. Also note how each knot stands up individually and doesn't mat together with the others around it. This is what you expect from high grade wool such as those from New Zealand, Tibet/Himalayan wools and Ghazni wools. The wool above is of medium grade. 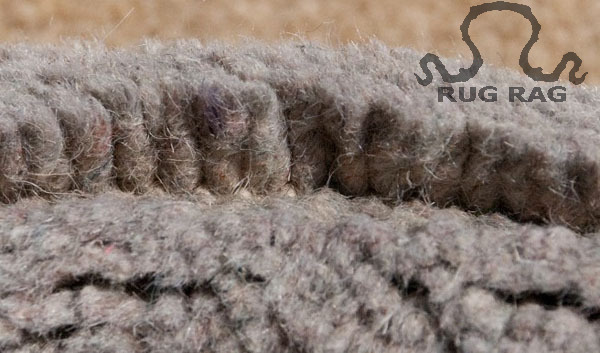 While not quite as coarse as the lowest grade, shown in grey wool, it still isn't as fluffy or refined as the highest grade. The luster is a bit better and it doesn't mat as much, yet clearly not choice quality. If you take a look at the pile above you can tell the wool is of a lower quality due to how coarse it appears, along with how much it is matted together. 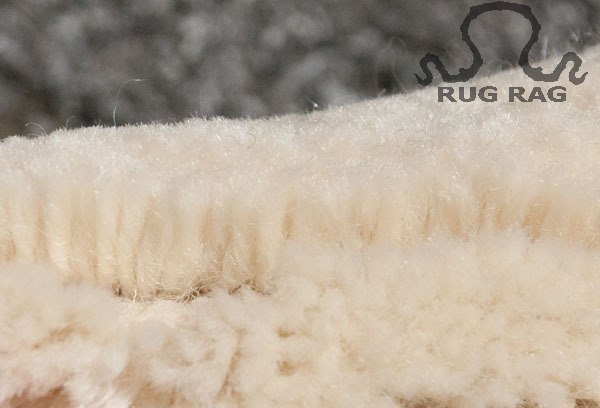 The wool also has a dull appearance and will feel much rougher than the others. Likely native Indian wool it is abundantly available in rug production and inexpensive as it requires no import/export.